Samsung believes the days of good, old GDDR5 are numbered as VR and games demand better graphics. Virtual reality and gaming are changing the way PCs are built and driving the development of new types of memory for GPUs. A successor to the GDDR5 memory used in most GPUs—called GDDR6—will be on its way by 2018, according to a presentation by Samsung executive Jin Kim at the Hot Chips conference this week. GDDR6 will be a faster and more power-efficient form of graphics memory. GDDR6 will provide throughput of around 14Gbps (bits per second), an improvement of 10Gbps with GDDR5. Although Samsung has targeted 2018 for GDDR6, new graphics memory usually takes a long time to reach the market, so the estimate may be aggressive. GPUs will need to be designed for the new memory, and components will need to be validated and tested, all of which takes time. 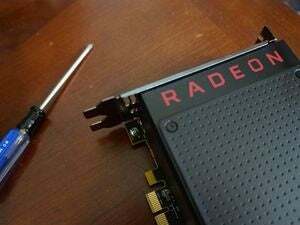 Applications like VR and gaming are putting a heavy load on GPUs, under stress to deliver the best graphics. VR headsets like Oculus Rift and HTC’s Vive only work with premium GPUs. GDDR6 will help GPUs deliver faster performance while drawing less power. The need for more GPU performance is already changing GPUs. New types of memory like HBM (High-Bandwidth Memory) and GDDR5X, which offer faster bandwidth, are already being used in new GPUs from AMD and Nvidia. GPUs with HBM and other new memory are still priced at a premium. But GDDR6—like GDDR5—could be used in low-priced GPUs. It’ll also be easier for GPUs to transition from GDDR5 to GDDR6 or GDDR5X than to HBM, which redefines the memory subsystem. It’s clear that Samsung is putting its weight behind GDDR6, while rival Micron is backing GDDR5X. Nvidia’s GeForce GTX1080 GPU has GDDR5X memory. Samsung also backs HBM. GPUs are also getting faster throughput, driving a need for faster memory. 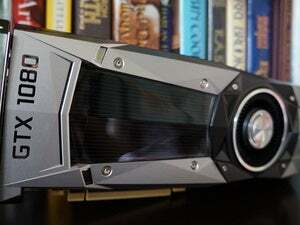 Faster memory helps GPUs process graphics faster, and the graphics can then be sent to memory, CPU, and storage via quicker interconnects like Nvidia’s NVLink or the upcoming PCI-Express 4.0. Advances in manufacturing have also created the need for new GPU memory. Some of the latest GPUs based on Nvidia’s Pascal and AMD’s Polaris architectures are manufactured with new techniques including FinFET, a 3D structure in which chips are stacked. New memory like HBM and GDDR6 are designed for such new chip structures, while GDDR5 memory has been designed for older GPUs made using older manufacturing technologies that don’t use stacked chips.